Bad writing and VO hurt Life is Strange Episode 2, but an amazing ending makes it all worth it. A solid second episode that meanders a little at first but has some of the most complex and thought-provoking moral decisions in any video game to date. Life is Strange still suffers from some problematic dialogue and "gamey" sequences, but the emotional payoff is worth the effort. While Out of Time has a tendency to meander (like Max herself), it hits hard in its critical moments. 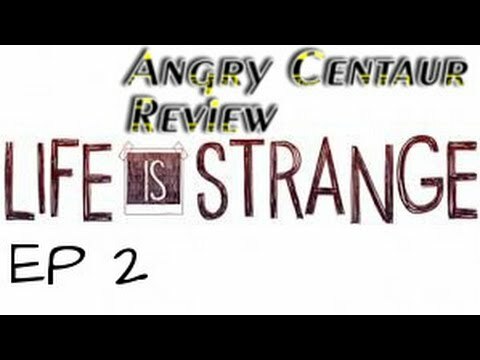 This episode succeeds in that it's adept at creating sincere concern for most of the inhabitants of Life is Strange. That depth is appreciated, but Out of Time felt like a giant step to the side, as we aren't much further along than we were at the end of episode one. If you played Episode 1, this is a must-play. If you're new to the series and still not sure, I'd say that five dollars a chapter is more than worth the price to give it a chance. Life Is Strange promised to explore mature and realistic themes from the start, and this second episode continues to do so even amidst the sci-fi trappings of time manipulation. Aside from a few miscued points here and there with pacing or the game's general presentation, this builds upon the first episode and draws you further into its tangled web of mystery. Improves on what made episode one so great, while adding a bigger, more impacting story. Following through on the tone of the first episode, Life is Strange: Episode 2 - Out of Time features natural story and character progression with gravitas-laden decisions that will shape the future. The key is, I do enjoy playing it. I'm still far from finished, but have played for an awfully long time. For a tenner, that's a lot of game. It's somewhat obnoxious, but special for just getting on with being a game. Life Is Strange remains an excellent game for those who like choice and consequence games, though the gameplay in the second episode is a little lackluster. As seemingly small choices you made in Episode One come back to haunt you—such as the decision to erase something on a white board or little comments you might make—you get the sense that your choices really matter in a way they don't in many other games that include choices. This is Max's life, and though she may rewind and change it, the choices she makes will still impact the way the story goes. I am genuinely excited to see what happens next, and after seeing how episode two plays out, I think people looking for an interesting story should take a look at this series. Life Is Strange: Episode 2 – Out of Time has an excellent ending, but it's letdown by pacing issues that make the events leading up to that point feel inconsequential. There are a lot of interesting and engaging elements working in this release's favour, but it's yet to really pull them all together in a fulfilling manner. In some ways, this is an improvement – the dialogue's better for a start – but it really needs to step up soon. To use a tired baseball analogy, it's had two strikes now – one more and it's out. Life is Strange Episode 2 is where you start to truly witness and experience how the choices you make affect the story. The various possible outcomes and things to discover is what continues to make Life is Strange intriguing and leaves us wanting more. I just hope that this build-up of mysteries and secrets is used effectively and takes a turn for the best that will make the story even better and even possibly the best we've seen in a while. If you have come this far, there is no sense stopping now. The Telltale style, successfully applied to an original, supernatural coming of age story. It's now up to Dontnod to continue the fine quality over three more episodes. Despite its issues, Life Is Strange continues to deliver a solid experience thanks to its nice mix of storytelling, hidden stuff and colorful art style. I was so interested to see how things turn out that I ended up finishing Out of Time in one sitting despite starting late at night. Here's hoping that the ensuing episodes end up being just as interesting as well. It's an improvement on episode one, but there's too much inane padding in Out of Time for it to warrant a hearty recommendation. The choices in Life is Strange: Episode 2 have only gotten bigger and more serious. DONTNOD has setup some pretty big moments ahead of players and I'm excited to see where they take the story, its characters and world next.